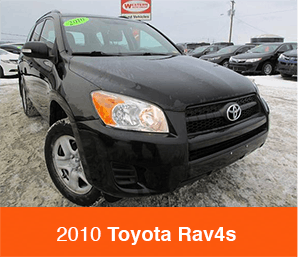 One of the most popular pages on our website is our used vehicles under $10,000 in Newfoundland page. We know that finding a quality used vehicle can be tricky, and that’s not the way it should be. As your local financing expert, I’m here to make it as easy as possible to both find and finance your next used vehicle in Corner Brook and beyond. When the team here at Western Used looks to buy cars, only the best ones are chosen. In my experience, it makes the most sense for everyone involved to simply start with quality used cars and nothing less. Anything else gets complicated, and I’m proud to be part of a team that offers a truly hassle-free buying experience. Beyond making your experience comfortable, I’m confident that we offer competitive pricing on all of our vehicles. You can learn more about our CarProof reports and CarGurus tools in my previous blog, here. These tools will help you be sure that you’re getting a quality vehicle at an affordable price. What Kind of Vehicle Can I Get For Under $10,000? Because we’re part of a larger dealership group, we’re able to offer trade-ins, lease returns, and other great options. 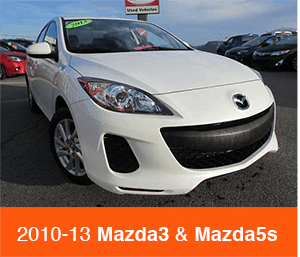 On our site, our used inventory consists of these types of vehicles from our Toyota, Mazda, and Kia stores. Sometimes we even have former rental fleet vehicles that are incredibly clean and have low mileage. We only accept newer model years for our used vehicles, so you can rest assured that you’re getting the best value around. Our inventory is always changing, and I recommend checking out our under $10,000 page often for the best deals. Because they’re priced so well, they don’t last long. Yes, you can! As your finance manager, my goal is to make sure that you leave happy and with a car loan that fits your budget and lifestyle. Shopping for cars below $10,000 is a great place to start when looking for affordable options. Because the cost of the vehicle overall is lower, I’m able to calculate lower payments than those on more expensive vehicles. Once we find a vehicle that you love, I am able to assess your credit situation and find the best lender for you. I work with several of the major financial institutions, and this allows me to find the best rates from multiple banks - not just one. Rates vary between institutions and credit ratings, so being able to tailor your loan to your personal situation is important to us. Lower rates equate to lower monthly (or bi-weekly, we want what works best for you) vehicle payments, and leave more money in your pocket. I’m able to offer financing over different terms as well, which lets me find the right payment amount for your budget. Most of the time, I’m even able to get you approved in less than an hour! If you have any questions, you can ask me directly through the Ask Jessica contact form. I’ll get back to you quickly with an answer to your question. If your question might be helpful to others, it might be featured in an upcoming blog! Whatever your used vehicle needs are, Western Used is here to help. 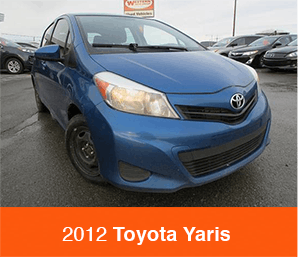 You can view all of our used vehicle inventory here, or if you’re looking for vehicles under $20,000 in the Corner Brook area, we’ve also got you covered.